Spinna loves riding in the car. It doesn’t matter where we end up, he just loves to ride. 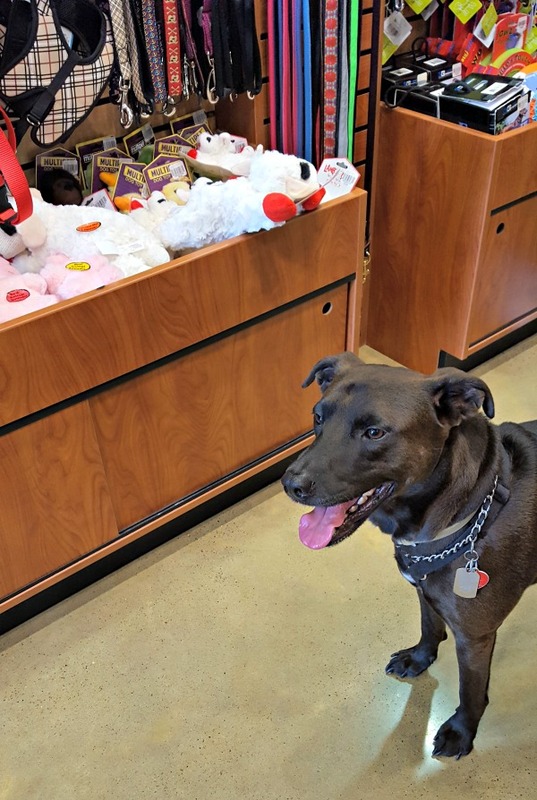 He also loves going to the pet store so we decided to bring him along for a little adventure to visit Kriser’s Natural Pet Store this past weekend. Boy, was it an experience. From the moment I entered through the door, I knew I had entered another world. This wasn’t a pet store for people who like their pets. This was a pet store for people who LOVE their pets. 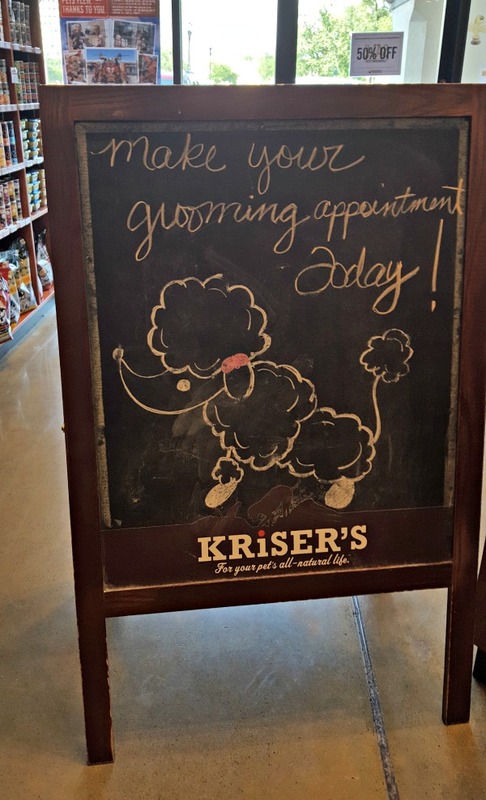 Kriser?s Natural Pet is all about helping pets live happier, healthier lives by providing the best natural treats, toys, accessories and even grooming services!? 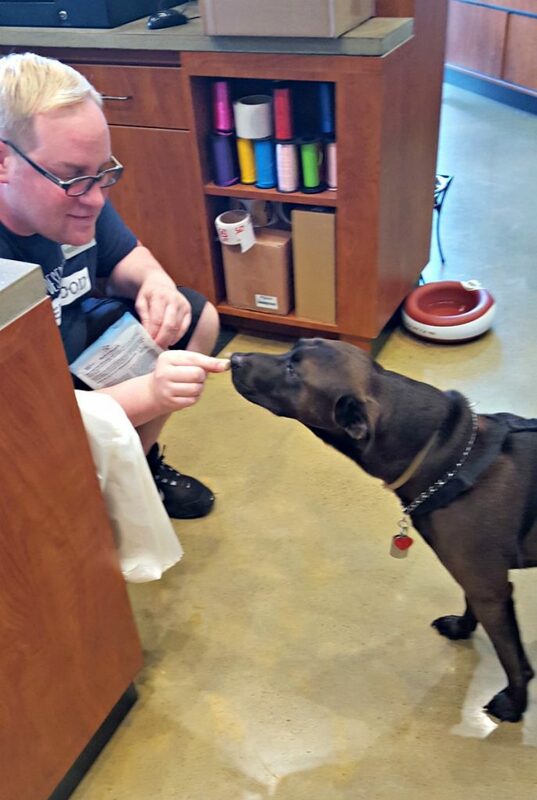 We were excited to take Spinna in to pick up some goodies and treats for him! Upon walking in the door, I felt welcomed. The store was spacious and had a welcoming feel…not too overwhelming. Everything was neatly organized and easy to find. Now that I think about it, it really didn’t smell like a pet store. It was actually fresh and clean. And, yes dogs are welcomed into the store. I was impressed by how friendly and knowledgeable the staff was. I had many questions and none of them went unanswered. It was apparent that the pack members take pride in customer service and educating the per parents. I actually learned a lot in the short time we were there. It is truly a friendly shopping experience for both the humans and the pets! We were also able to pick up a few items. I cannot wait to try the new no pull harness we picked up for Spinna. They have just about everything you can think of for your furry friend. And the best part is that what you get is all Natural and healthy! They have just about everything you can think of.? Health & beauty items, grooming products, treats, supplements and supplies are from trusted brands that Kriser?s feels good about recommending.? You can also find everything for cat owners as well. Oh and there’s grooming service also. While there, we of course, had to check out the toy section. Spinna loves his toys and didn’t mind picking out a few new favorites. 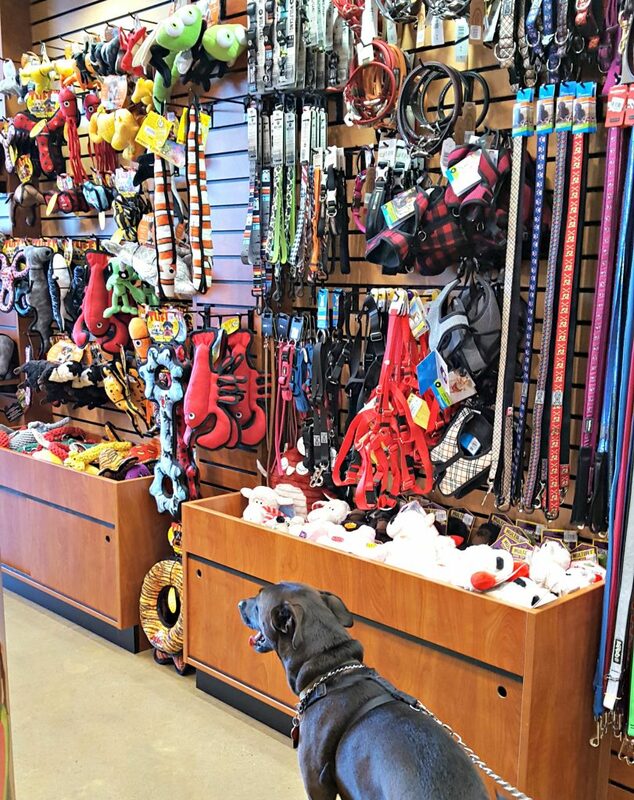 When it comes to toys, he is very particular and his eyes almost popped out of his head when he saw them all lining the shelves. 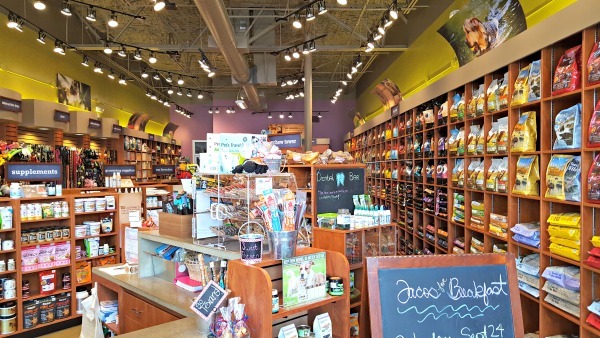 Kriser?s Natural Pets has locations in Illinois, California, Texas, and Colorado! If you’re thinking about giving them a visit,? Visit the website , find a location near you and be sure to get a coupon now!